Custom Metal Doors & Drawers are available in Stainless Steel or Traditional Copper and in a wide variety of embossed patterns and colors. Frigo workmanship features full coverage on inside of doors and drawers, hand finished corners, and ready to accept customer’s choice of hinges and knobs. Other options include unique metal door insert panels – Designed and precision cut to fit within your framed / shaker designed cabinet doors; Stainless and Copper Antique Frames (designed for to accept glass inserts), and Door & Drawer Refacing Kits. 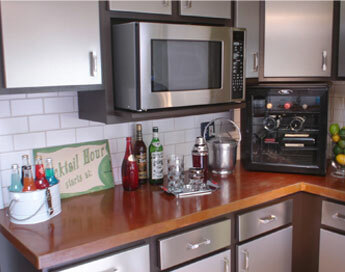 Custom Metal Doors & Drawers are available in Beautiful Stainless or warm Traditional Copper. Both Stainless and Copper are available in a wide variety of embossed patterns. 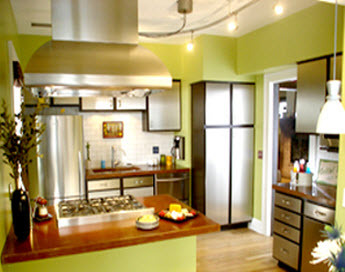 You can also choose any of the Frigo Metallic Finishes (see Patterns & Finishes). Seamless, Trim-less design mounted on a durable substrate with all finished edges. All corners are welded and hand finished. Full metal coverage on inside of cabinets, doors and drawers. Designed for use with all types of hinges and customer’s choice of hardware. Go with matte finish stainless or copper or choose your pattern and/or metallic finish. Easy to Order – Just give us a call and we will walk you through the process. 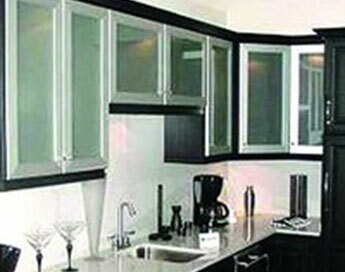 Cabinet and drawer front re-facing is the economical way to upgrade and update your kitchen, bath or patio decor. Everyone will think you’ve replaced your old cabinetry with new, when in fact, in just a few days, you’ve turned old, worn-out looking areas into something new! Custom built – ready to slide over existing doors. All edges finished, cut for concealed hinges. Backside (inside) of existing door is not covered by the new shell. Handcrafted Stainless Steel, Copper, or Metallic Door frames custom designed and built to accept customer provided glass panes.